Bergmann Germany proudly brings to you the most effective, high quality and affordable car vacuum cleaner. Trendy, sophisticated and aerodynamic stick-type design. Made of pure and tough ABS material. 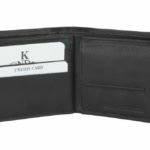 It’s patented aerodynamic design and crevice tool helps you get into those tiny spaces in your car which are virtually unreachable. It plugs directly into your vehicle’s cigarette lighter socket, which allows you to clean your vehicle from anywhere and on the go. This device is the absolute best in terms of maneuverability. Ergonomically designed, the handle of this vacuum cleaner is designed for your comfort, allowing you to hold and manoeuver it with ease. Nothing is out of reach, whether under a seat or in the furthest corner of the trunk. Even that extra-narrow spot where the dash meets the windshield was easy to reach with the Bergmann Tornado – not the case with many of the competing products. This auto vacuum cleaner includes an upholstery brush and crevice nozzle. The long cord can help you reach any space in even the largest SUV. The cigarette lighter socket is high quality and comes with an in-built LED light and fuse. An extra fuse has also been provided just in case the original one blows off. Another great aspect is that it is a bagless car vacuum, which means you do not have to replace any bags. The units with bags eventually become clogged, which can lessen suction if you do not monitor everything, making you buy new bags eventually. There are no concerns like that with this model. This vacuum really is convenient when it is time to empty it, too. Firstly, you know when to empty it because the dirt bowl is translucent. Secondly, just by pulling one release button, the dirt box comes off. Its filter is high quality medical-grade HEPA filter unlike most other filters which are made of cheap non-wovens. The best part however is that the filter is completely washable and you can clean it under a running water tap with a small brush or in your dishwasher. Overall a great product. Use it and you’ll fall in love with it. 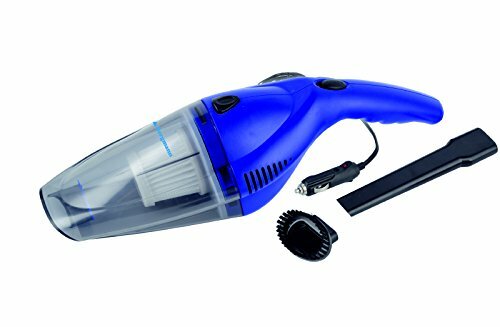 How to buy Bergmann Tornado Car Vacuum Cleaner (Blue) for Rs 599 ?